Monroe has a beautiful rich history with wonderful historical buildings and a beautiful downtown historical district that takes you back in time. Monroe is also called the “City of Governors,” because seven men from Monroe became Governor of Georgia. 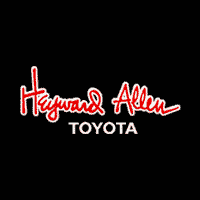 Residents of Monroe, Georgia appreciate courtesy and honesty, and at Heyward Allen Toyota that is One of Our Pledges to You—to serve you with courtesy, honesty and respect at all times. We proudly serve the Monroe Georgia community with quality new Toyota models, Certified Pre-Owned Toyota models and a great selection of used cars, trucks, SUVs and vans. We’re positive that we have something to fit the needs and wants of every customer who walks through our door.